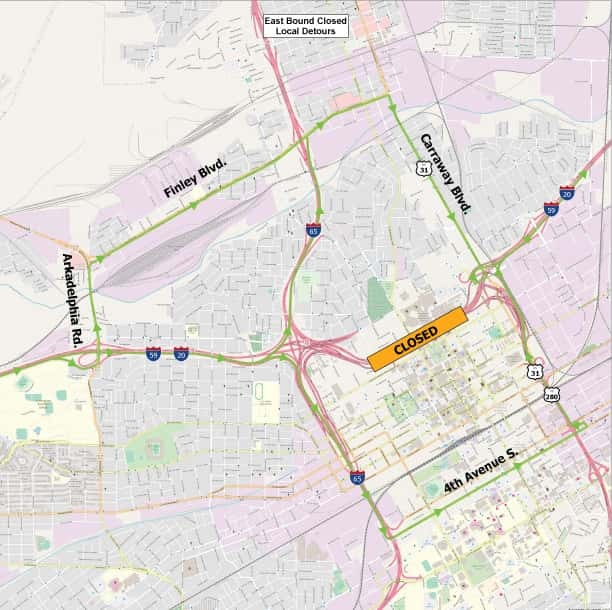 Westbound drivers wishing to enter downtown can take the 25th Street exit, or exit onto the Red Mountain Expressway. Those exits are expected to remain open throughout most of the project. Eastbound traffic wishing to enter the city can still use the 17th Street North exit 125A, or take I-65 South to 6th Avenue North or 4th Avenue South. 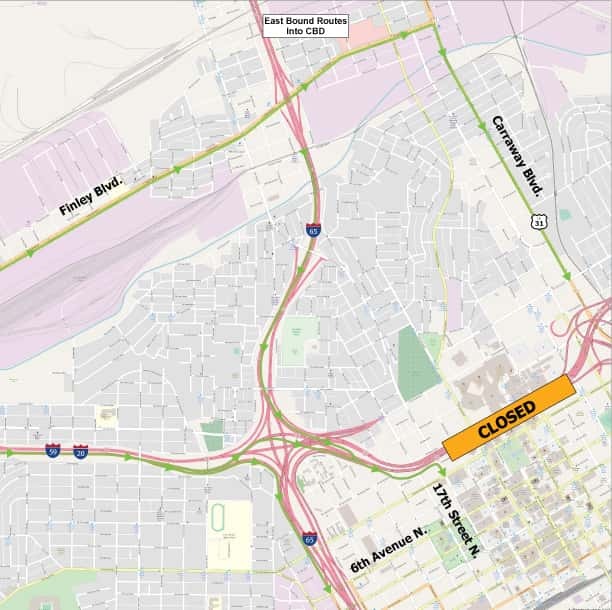 Eastbound traffic (from Tuscaloosa/Bessemer) will be detoured to the Arkadelphia Road exit to Finley Boulevard to Carraway Boulevard, where they can get back on the interstate. Eastbound drivers wishing to enter the city can still use the 17th Street North exit, or take I-65 South to 4th Avenue South. To handle the increased traffic, an additional left turn lane has been added to Carraway Boulevard for drivers turning onto Finley Boulevard, and another right turn lane has been added to Finley Boulevard to turn onto Carraway Boulevard. 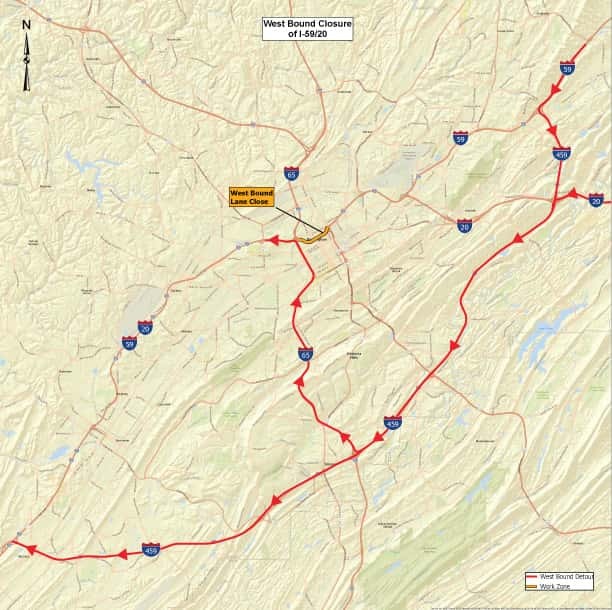 Traffic from I-59/20 westbound (from Atlanta/Gadsden) will be detoured to exit at 25th Street. or at Carraway Boulevard and continue Carraway/US 31 north to Finley Boulevard/ Al 378, and take Finley Boulevard around the city, either to I-65 at the Finley exit 262 or to get on I-59/20 at the Arkadelphia Road, exit 123.